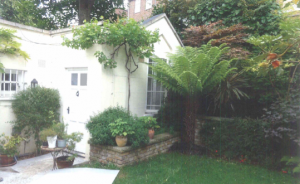 Following a long term problem with dampness in an annex of a detached house in London, the landlord contacted Kenwood to assess. 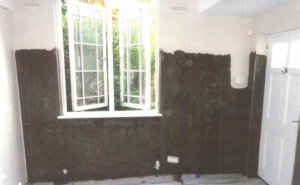 Rising damp was found to be affecting walls within the office space due to a defective damp proof course. Treatment to this area involved the removal of wall plaster and the injection of a new chemical damp proof course. Kenwood specialist tanking system was also required to prevent moisture ingress. Kenwood worked quickly and efficiently to complete this job as the space is in constant use, while providing the high standard our clients expect from London’s leading damp proofing company.